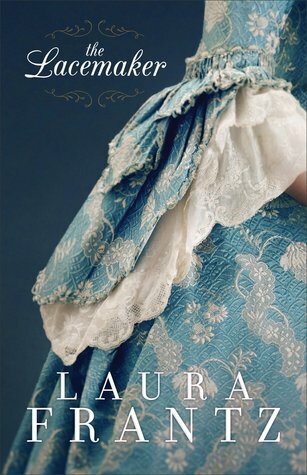 The Lacemaker (2018) by Laura Frantz is yet another stunning stand-alone novel. Today is release day, and it can be purchased wherever books are sold. This novel is available in all forms including eBook, and is 416 pages in length. With a full-time job and a precocious five-year old at home, this book took me three days to read. I received a review copy of this novel in paperback form from Revell Books. In no way has this influenced my review. The opinions expressed in this review are my own. I give this book 5+++ STARS. The Lacemaker is a Historical Christian Romance set in 1775 colonial Williamsburg at the cusp of the wars between England and the Revolutionists. Laura Frantz has done it again! The Lacemaker is a stunning story. From page one, I was hooked and I could not put the book down. The characters are beautifully crafted, the setting is so realistic I felt like I was in 1775 Virginia, the romance is sweet and heartfelt, and the social upheaval of the day is excellently portrayed. The main characters are Liberty and Noble. I absolutely love their names, and found them to be perfectly fitting. Liberty is amazing. Her world gets turned upside down in one night, and instead of giving up and whining about her change in circumstances, she picks herself up by her bootstraps and forges through the hard times. She is so resilient and strong! I don’t know if I would have been able to make it like she does (on her own!!!) if I had been in her shoes. Liberty has true grit and tenacity, and she loves God so much. Liberty’s faith is solid, which she falls back on time and time again. What I loved the most about her is that she is able to self-correct her thinking. An exhausted moment will hit her, and she starts to doubt herself, her choices, her circumstances, but by her next thought, will chide herself and shut that line of thinking down and bring it back to God. This is a great example for me. I tend to get stuck in the exhausted, whiny moments a little too long. I need to be more like Liberty!!! I need to “liberate” myself from those bellicose moments that lead to negative, and focus more on God and the positive. Noble Rynallt is the perfect hero. He, too, is brave. He, too, has a steadfast faith in God, and really sticks to his principals. He is a man’s man who stands up and fights for what is right. Noble knows when to give Liberty the space she needs to grow into the independent woman she wants to become, but he also knows when to warn her of trouble. He is thoughtful of Liberty’s wants and desires. He definitely lives up to his name! And, he is quite swoon-worthy. There is a moment in the story where Noble is frustrated because as just a friend there is very little he can do to protect Liberty the way he wants to protect her. In a very exhausted moment, where he sort of lets his guard down, he confesses to Liberty that he wants to protect her but he doesn’t know how because he isn’t her husband or family member. His admission and his vulnerability in this moment made me fall in love with him!!! He is such a great character. I definitely rooted for his and Liberty’s relationship to blossom into a happily-ever-after. One aspect that I found really interesting is the similarities between the chaotic political upheaval of 1775 America and modern-day America. There are several moments in the book where the parallels between then and now are staggering. I found myself really relating to Liberty and the sense of foreboding she feels. At one point, she states, “Twas a normal day in Williamsburg, yet [she] sensed an undercurrent of tension, of something tearing at the very fabric of their ordinary lives” (212). I, too, feel this tearing. I feel like America is sitting on a ticking time-bomb that is mere seconds away from exploding. Like Liberty, I fear this explosion is just around the corner, but I don’t know what to do. So, I will do what Liberty does — I will keep praying to God and trusting that He’s got it all under control. The Lacemaker is a phenomenal story — one that will stick with me long after I’ve finished reading. I am very sad that my time with Liberty and Noble is over, but I am so very blessed to have had the opportunity to read this book. I truly cannot recommend this book enough. Ms. Frantz, you are an amazing writer, and I pray God blesses you with many more fabulous story lines. I am giving away ONE (1) paperback copy of The Lacemaker published by Revell Books. The giveaway begins today, 1-2-18 at 3:15 pm and ends on Friday, 1-5-18 at 12:00 pm. To enter, click on the Rafflecopter link below. Good luck! Thank you much! I love Laura Frantz booksand woukd love to win this one to read! Silly sleep and work…they get in the way of my free time!!! LOL. Glad you are enjoying the book. I think it is one of Laura’s best so far!!! Wow. Great review. You really bring out the inner workings of the Lacemaker. I’m quite interested now. What a fantastic review. Thanks, too, for the giveaway. This book has been on my radar for quite some time (I know….it just released 😊). And, believe it or not, I haven’t read any of her books, though I do want to. Moonbow Night has gotten such awesome reviews and I really need to read it. Oh!!! You are in for a treat. Laura’s Ballantyne series is amazing. All of her books are excellent, but I would maybe start with the series. Wonderful review!! I’ve been looking forward to reading The Lacemaker by Laura Frantz. She’s one of my favorite authors. When we lived in Virginia, we visited Williamsburg many times so it will be fun to revisit Williamsburg with Liberty and Noble. I have been to Williamsburg many years ago as a newlywed. Love the history in that area of the country. 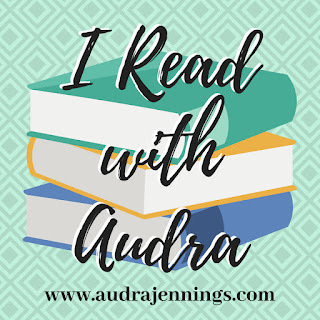 I’m sorry to say I haven’t read any of Laura’s books but have been meaning to read he4 for years, your great review makes me want to read this book! I love all of her books. I think my favorite is Courting Morrow Little. Thanks for the chance to win! I’ve read the Ballantyne trilogy. Loved it! Just bought “Moonbow Night,” but also looking forward to “The Lacemaker.” Thanks for the thorough and informative review and giveaway. I love every Laura Frantz book I’ve read so far! My favorite for romance is the Colonel’s Lady and my favorite for history is Moonbow Night but I love the conflict of the Ballentyne Legacy series, great drama! I’m halfway through The Lacemaker and I’d love to win a paperback to revisit and share! Thank you for the giveaway, Nicole! I adore Liberty already! Sounds like a wonderful read. If you had to recommend just one other book by Laura Frantz, what would it be? The 2nd book in her Ballantyne series. It’s my favorite. I reread it all the time!! !